HPV vaccination rates aren't improving: Stigma, cost, and lack of information explain why. Why Have HPV Vaccination Rates Flat-Lined? A 13-year-old girl receives an HPV vaccine in Miami. Good for her! This strange and distressing news launched a fleet of theories: that teenage girls go to the doctor less frequently than toddlers, leading to fewer opportunities for vaccination; that patients—or their parents—are embarrassed to ask for an STI vaccine, and doctors are reluctant to broach the topic; that neither doctors nor patients are well-versed enough in the recent immunization literature to get the ball rolling. A study in the (delightfully named) Morbidity and Mortality Weekly Report, however, rules out hypothesis No. 1. 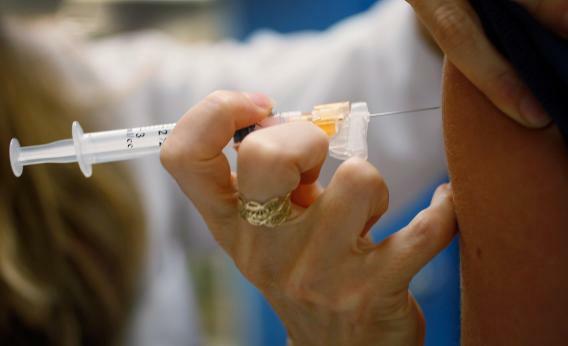 Teenagers are receiving plenty of other inoculations, just not the ones for HPV. (“If HPV vaccine had been administered during health-care visits when another vaccine was administered,” the authors of the study write, “coverage … could have reached 92.6%.”)The vaccination flat line may flow from a combination of underinformed families and inconsistent doctors. “Providers give weaker recommendations for HPV vaccination compared with other vaccinations recommended for adolescents,” researchers found. As a result, too many patients are either unaware of the vaccine or underestimate its importance. Sadi Bhattarai, a nurse at Chevy Chase Pediatrics in Washington, D.C., was not aware of any stigma surrounding the HPV vaccine. The procedure does prove slightly inconvenient: “We often have to call after the first round and remind families to get the second and third shots,” she says. Still, “at our practice, everybody gets vaccinated—boys and girls—when they come in for a physical and if they’re the right age.” Bhattarai ventures that the plateauing rates “are both doctor- and patient-driven,” since not all clinics have yet adopted the HPV immunizations as part of their standard operating procedure, and not all families know to ask. But Chris Griffiths, of the city of Columbia, Mo., Health Department, thinks institutional lethargy is not wholly to blame. She senses a lingering wariness around HPV vaccination. “As a nurse, I bring [the vaccine] up to people, and they associate it with promiscuity,” she said. While her clinic, located in a liberal pocket of Missouri, makes a point of recommending the shots, other facilities in the state do not. Funding plays a role—to administer vaccines, a practice needs a separate locked refrigerator kept at a specific temperature and may rack up other expenses—but it is only part of the story. Patients and their families may also be dissuaded by insurance policies that fail to cover HPV inoculation. (The triplicate shot can cost up to $140 per dose.) Doctors may not want to incur a backlash by suggesting the vaccine. Correction, July 30, 2013: This post originally misspelled CDC director Thomas R. Frieden’s last name.